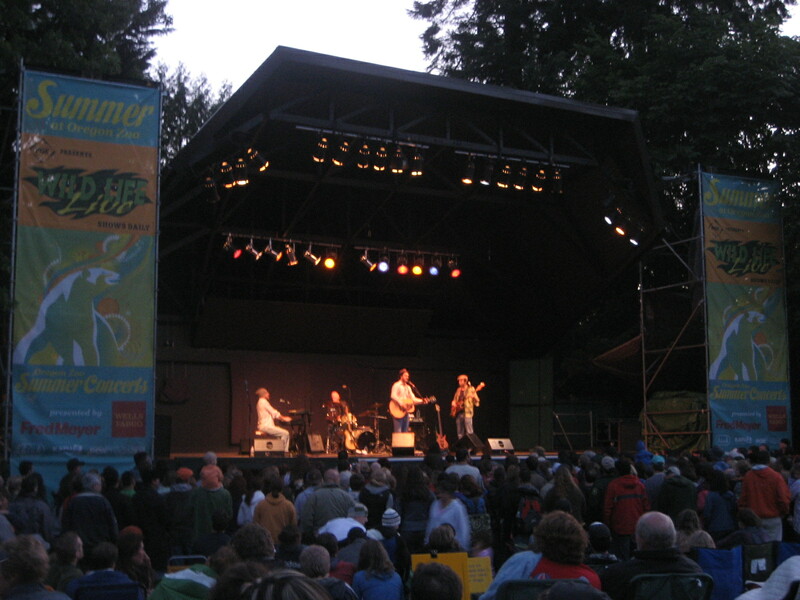 A few weeks ago Zach and I went to see Amos Lee‘s summer concert at the Oregon Zoo. 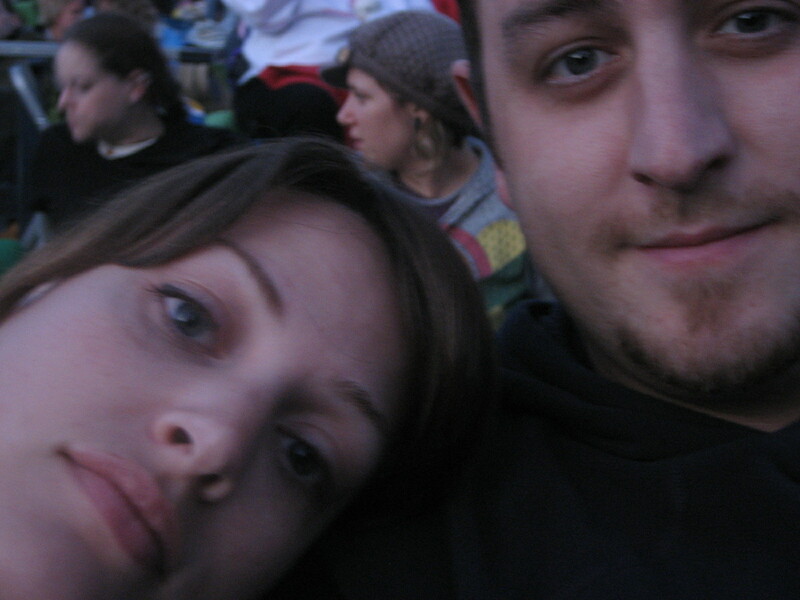 We discovered Amos Lee when he opened for Norah Jones at a concert we went to several years ago in Seattle. The show was at the Key Arena and he sat on a stool on the stage, just him and his guitar, and had the whole place mesmerized. I’ve never heard such silence from such a large crowd. We’ve been fans ever since. The concert at the zoo was great. The zoo folks warmed up the audience with an exotic birds show that featured eagles and hawks flying right above our heads… the guy in front of us even got brushed by a wing! The evening’s weather turned out to be amazing with the dark clouds parting as the opener (singer-songwriter Lucy Wainwright Roach, Rufus’s sister) took the stage. We paid a little extra for our tickets with the proceeds going to the zoo and our thank-you was a reserved spot on the grass with a great little blanket that we got to take home. They had tons of food – barbecued burgers and hot dogs, whole pizzas, salads, giant soft pretzels, cookies and elephant ears – and local beer and wine. We each got dinner and took a bottle of wine back to our blanket… so romantic! Amos had a band with him this time (including a keyboard player that Zach kept raving about) and the whole show was upbeat and fun! Next year we’ll definitely be going to more shows in this concert series… whether we know the artists or not the experience is worth it! Because it was evening, I didn’t get a great picture of the concert, but I think this shows the cool outdoor setting. I forgot I had the zoom on so this is a little close, but I like how content we both look. It was a good night.